Anxiety disorders along with depression are the most common mental health complaints affecting the people of Ireland according to St Patrick’s Mental Health Services. While most people experience anxiety in their lives from time to time, when it becomes excessive and a state of alert becomes the norm, the impact on a person’s life can be terribly debilitating. The good news is that Homeopathy can offer a tremendous amount of relief for people suffering from anxiety and help address the many effects of a prolonged “fight or flight” response on an individual’s health. Anxiety for most people is painful and prohibitive. It can threaten to trap you into limited ways of responding, making life a set of constrained choices between anxiety and non-anxiety producing actions. Anxiety involves a feeling of apprehension, uneasiness, worry or dread in response to a perceived threat to your body, your values, your lifestyle or your loved ones. Physical effects of anxiety include heart palpitations, headaches, dizziness, sweating, flushing, breathing difficulties, butterflies in the stomach, or tension in the muscles. 1. Anticipation which relates to a fear or worry about an upcoming event or situation with an expectation of stress or setbacks. 2. Panic attacks which are sudden, unpredictable and very distressing. They are often accompanied with severe physical symptoms such as palpitations, nausea, perspiration, blurred vision, or a feeling that they might die. 3. Specific phobias such as fear of certain animals, fear of heights, fear of lifts, fear of flying, fear of trains, fear of buses, fear of crowded places, fear of confined spaces and fear of public places. 4. Social phobias related to a fear in social situations such as eating or talking in public or meeting new people. There is a belief that others will judge them negatively or that they might embarrass themselves. 5. Post traumatic stress disorder which follows a terrifying physical or emotional experience. Thoughts and flashbacks and frightening memories of the ordeal keep reoccurring. 6. Obsessive Compulsive Disorder relates to preoccupying thoughts that create repetitive thoughts, behaviours or ritualistic actions aimed at reducing the associated anxiety. Examples include fear of getting a disease, an inordinate concern for order or symmetry, washing of hands, fear of picking up germs or being contaminated, or checking and counting. 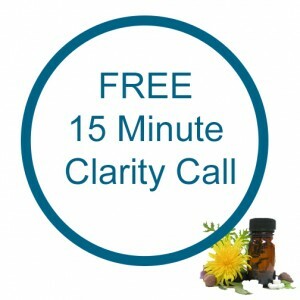 Many people have experienced a tremendous amount of relief from their anxiety or panic attacks thanks to homeopathy. Anxiety affects your whole being. It can create a physical, behavioural and psychological reaction all at the same time. Homeopathy takes a holistic approach to health and treats the whole person and recognises that all responses on these levels are important in the healing. Far from a “one-pill-fits-all” regimen of treatment, homeopathy is highly individualised taking into account each person’s own unique situation. Amongst other things, a Homeopath is interested to know when the anxiety started, how it impacts your life, stresses, triggers and how you cope with it. Along with a full case history of your health and family history a homeopathic remedy is prescribed specific to your needs. 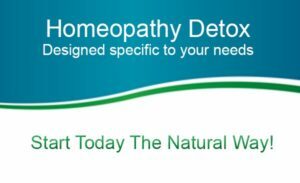 Homeopathic remedies offer a non toxic, non addictive and non-invasive system of medicine for people of all ages. They can be used safely alongside conventional medicine. 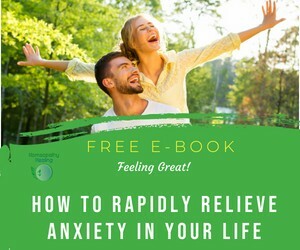 Whether your anxiety is mild or severe, Homeopathy offers an opportunity to regain perspective and reduce anxiety with a deep and powerful system of healing using natural remedies.